Koda's owne is not happy that along with her dog, came SPCA cameras. The reunion was recorded without warning. SPRING, TX (KTRK) -- A Spring woman is still unhappy with the SPCA despite being reunited with the dog she came close to losing forever. 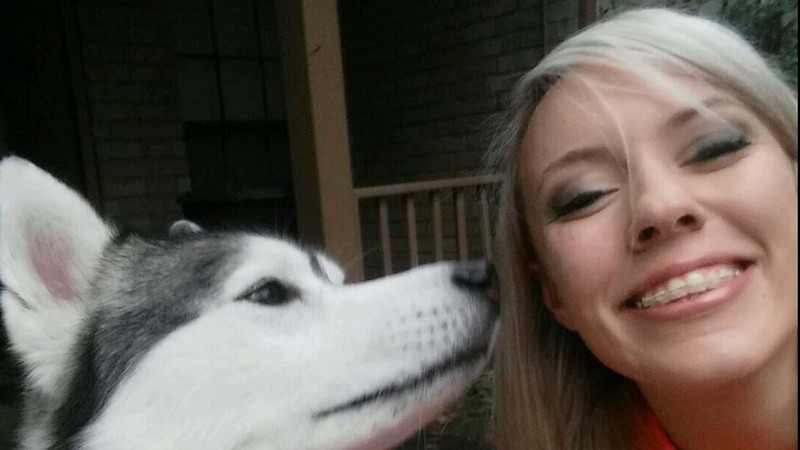 On Monday, we reported how Koda, a Siberian husky, escaped out of Lisa Landes' back yard. Someone found Koda and turned him into the Houston SPCA. A family then adopted Koda. Landes turned to social media to get Koda back, and on Friday night, we found out it worked. Koda's adopted family agreed to give him back to Landes. That reunion happened Saturday, but Landes said the private and tearful reunion was ruined by SPCA cameras. "I thought it was a little strange that the SPCA were videotaping me. They had me sign some documentation. I thought that was a little odd," she said. Landes tells Eyewitness News a man with the HSPCA delivered Koda to her home around 11am Saturday. Landes says she signed paperwork to get Koda back; paperwork her attorney wants to take a look at. Landes says Koda is very excited to be home. She plans to take the dog to a vet to get him checked out. Landes said the big lesson for her is to microchip your dog and that is something she did today. Before Koda was returned to Landes, she had prepared to take legal action to get the dog back. She hired an attorney, who said what the SPCA did violated a city ordinance. "Non-profit shelters do not have the legal authority to impound," said Landes' attorney, Zandra Anderson. "As a matter of fact, in the city of Houston, it's a crime to impound animals unless the finder of the animal takes it to BARC. That's not enforced." "If there is anything that's going on that is illegal, then the public needs to know about it," said Landes. "The public needs to be aware and be protected." "Last night, the adoptive family made the difficult decision to return Koda to the Houston SPCA. We want to extend our thanks to them, because we know how difficult and heart wrenching this decision was for their family."